di·vorce – dəˈvôrs/ noun ~ the legal dissolution of a marriage by a court or other competent body. verb ~ legally dissolve one’s marriage with (someone). A divorce can be many things. It is a legal proceeding to end a marriage. Divorce laws differ from state to state regarding the requirements and reasons or grounds for a divorce. The mechanisms and procedures for obtaining a divorce differ from state to state as well. In every state there is a legal requirement that a divorce proceeding be filed to end the legal marriage between a couple. Under some circumstances use of the low preponderance of evidence standard may be a violation of constitutional rights. 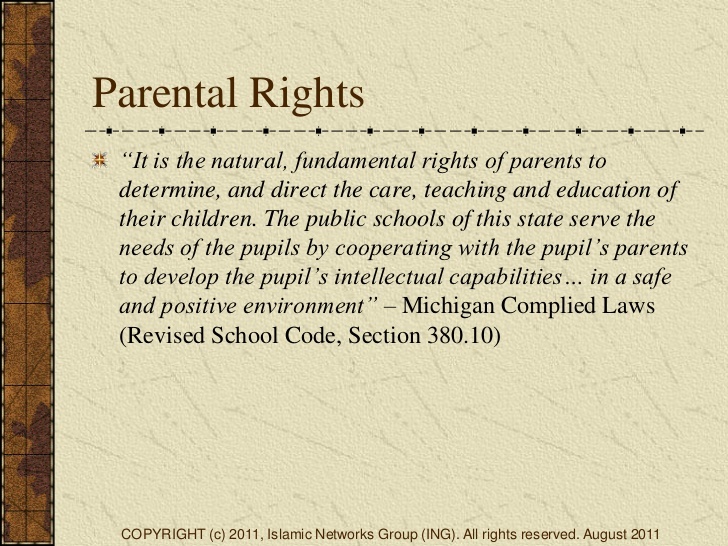 For example, if a state seeks to deprive natural parents of custody of their children, requiring only proof by a preponderance of evidence is a violation of the parents’ DUE PROCESS rights (Santosky v. Kramer, 455 U.S. 745, 102 S. Ct. 1388, 71 L. Ed. 2d 599 ). Freedom in matters of family life is a fundamental liberty interest, and the government cannot take it away with only a modest evidentiary standard. However, a court may use a preponderance of evidence standard when a mother seeks to establish that a certain man is the father of her child (Rivera v. Minnich, 483 U.S. 574, 107 S. Ct. 3001, 97 L. Ed. 2d 473 ). Most states use the preponderance of evidence standard in these cases because they have an interest in ensuring that fathers support their children. 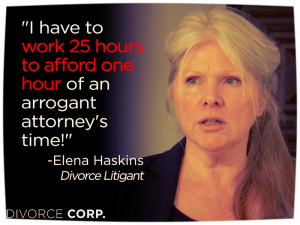 Should Family Court Judges be held to the same standards as the rest of us when they commit misconduct? 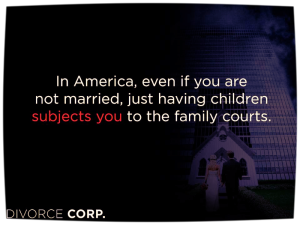 Unlike in most court cases, family courts have no jury. This leaves the outcome of each case completely at the discretion of the judge, thereby subverting our basic civil liberties. In general, it seems that judges are unwilling to explicitly specify whether mothers or fathers are the preferred parents, with the exception of the situation when children are under the age of six, in which case they believe that the mother is the preferred parent. Although they disagreed with the specification of either parent as better than the other, … the disagreement was stronger with regard to the father. Overall, on each of the five items, the means indicated a preference toward mothers over fathers, which are consistent with the theory of maternal preference. Children are human beings, not belongings. 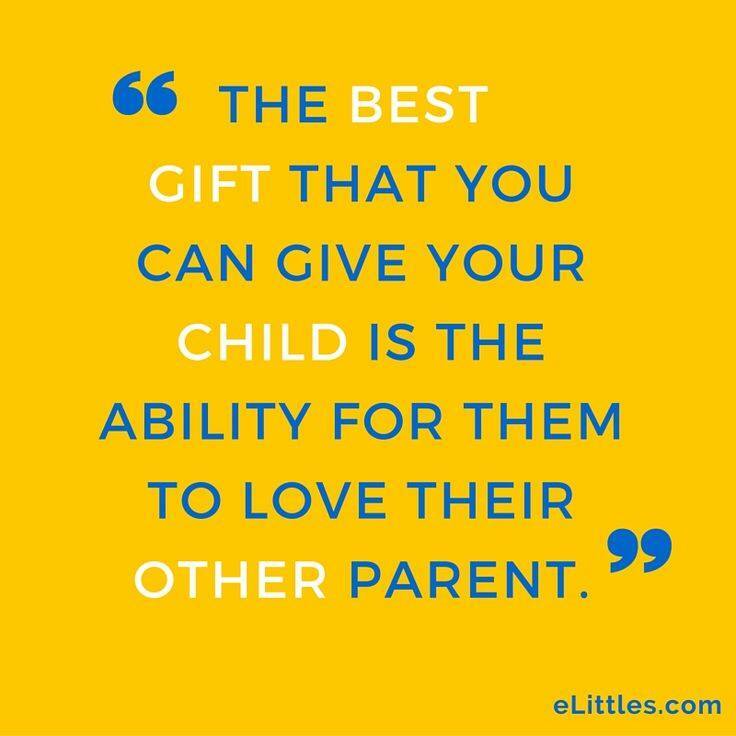 Children need the love, caring, nurturing, and guidance of both their mother and father throughout their lives. 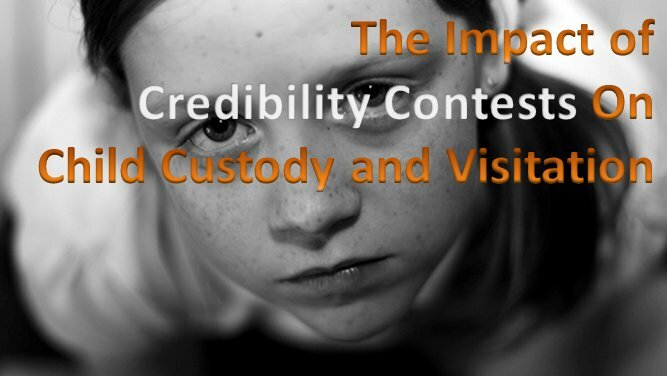 “Awarding” custody of a child to either the mother or father in divorce creates an atmosphere of contempt and competition, but more importantly it deprives the child of the benefit of the day to day nurturing of either their mother or father. Research has shown in a dramatic fashion the long term devastating effects removal of a parent has on children. The following statistics from the American Psychological Association found along with other shared parenting research gathered together online at http://www.HelpStopPAS.com have been duplicated in a number of studies, including those from the U.S. Department of Education. Psychologist Robert Bauserman, Ph.D., of Administration/Department of Health and Mental Hygiene in Baltimore, Maryland conducted a meta-analysis of 33 studies between 1982 to 1999 that examined 1,846 sole-custody and 814 joint-custody children. The studies compared child adjustment in joint physical or joint legal custody with sole-custody settings and 251 intact families. Joint custody was defined as either physical custody – where a child spends equal or substantial amounts of time with both parents or shared legal custody – where a child lives with primarily one parent but both parents are involved in all aspects of the child’s life. This article will appear in the March issue of the Journal of Family Psychology, published by the American Psychological Association (APA). Children in joint custody arrangements had less behavior and emotional problems, had higher self-esteem, better family relations and school performance than children in sole custody arrangements. And these children were as well-adjusted as intact family children on the same measures, said Bauserman, “probably because joint custody provides the child with an opportunity to have ongoing contact with both parents. With these statistics it is easy to see that shared parenting is in the best interest of the child. 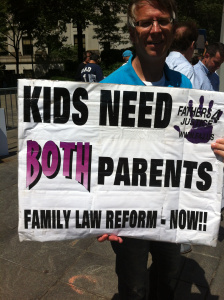 Shared parenting legislation would also strengthen our family values and society as a whole. A study conducted by Richard Kuhn et al with The Children’s Rights Council showed a decline in divorce rates in states that allow joint physical custody. The evidence reported in the paper indicates that widespread acceptance of joint physical custody will not increase the divorce rate, and may in fact reduce divorce. States whose family law policies – either by statute or through judicial practice – encourage joint custody have shown a much greater decline in their divorce rates than those that favor sole custody. REMEMBER THE $50 BILLION DOLLARS. The decline was attributed to a number of factors. States that favor sole custody in divorce may thus expect to see more divorce than states that encourage joint custody. On a practical level, joint physical custody makes it less likely that a parent can move to another city to eliminate interaction with the other parent. Because both parents provide for the child directly, child support payments may be somewhat lower with joint custody, reducing financial motives for divorce. Perhaps most significant, joint custody also removes the capacity for one spouse to hurt the other by denying participation in raising the children. A vast amount of research has found that shared parenting will not only strengthen the institution of marriage in our country but also give our nation’s children the love and companionship they need from both their mother and father to mature into productive and respected members of our society. Shared parenting is no longer a concept that needs to be debated; it has been tested and proven to be the preferred custody arrangement in a divorce situation. 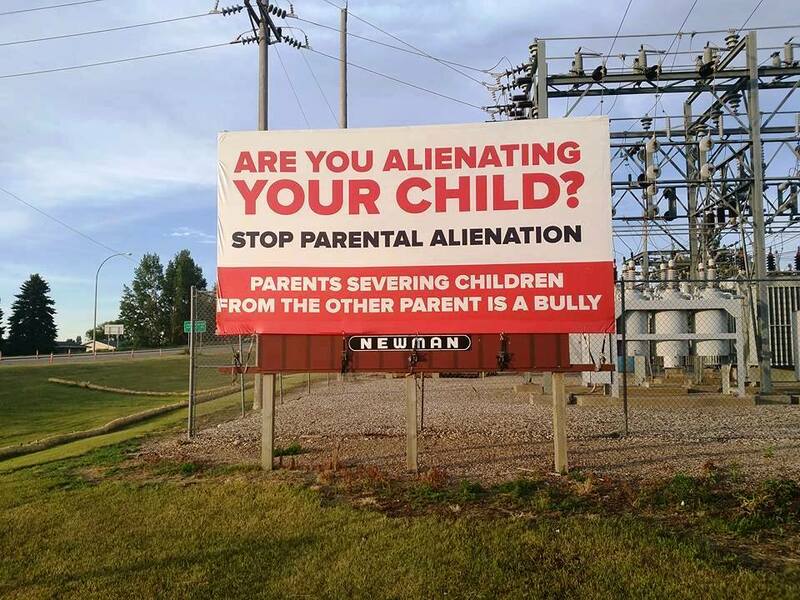 In absence of mental illness or abuse children are entitled to the right of a close continued relationship with both parents without interference from either parent or the court. With this information it would be abusive towards parents and children not to act in the children’s best interest. 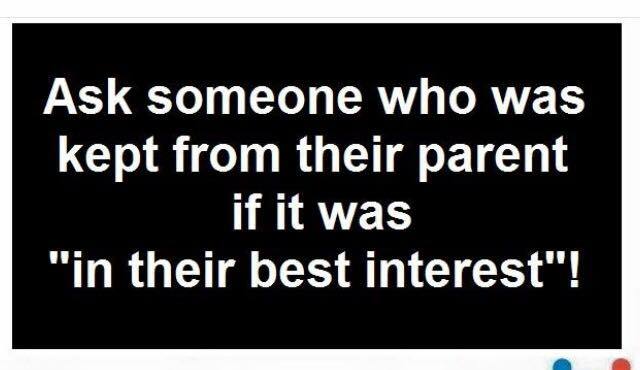 The best interest of the children is equal time with both parents; shared parenting. “More than a quarter of American Children, 24 MILLION, do not live with their father. Girls without a father in their life are two and a half times as likely to get pregnant and 53 percent more likely to commit suicide. 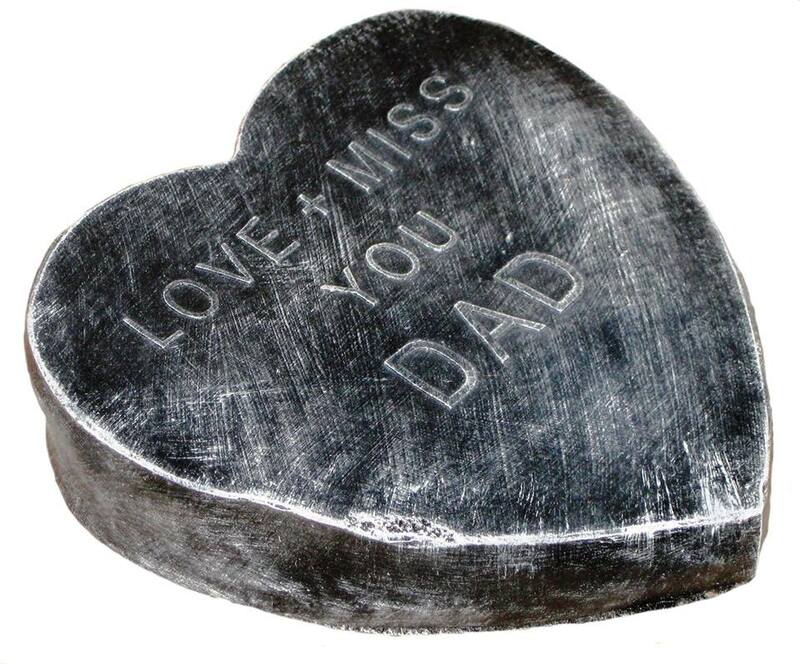 Boys without a father in their life are 63 percent more likely to run away and 37 percent more likely to abuse drugs. Both girls and boys are twice as likely to drop out of high school, twice as likely to end up in jail and nearly four times as likely to need help for emotional or behavioral problems.” — HHS Press Release, Friday, March 26, 1999. Please add your stories, articles, photos, videos, and comments. Lawyers and Judges have fiduciary duties under their codes of conduct to “insure the Integrity of the judiciary and the legal system” (Canon 1 and RPC Preamble #1 )” and to report to the appropriate authority if a lawyer or judge engages in conduct that runs contrary to promoting “public confidence in the judiciary and the rule of law” (RPC 8.3, Canon 3(b)(5) and Canon 1 and RPC Preamble #6 respectively) which may “injure our system of government under law” (Canon 1). The problem: these self-regulating privileges devolved to a point where judges and lawyers have absolved themselves of these “fiduciary duties” and in fact have absolved themselves of their lawful duties. Said another way, the public’s confidence in the judiciary and in the rule of law has been severely injured by the moral and ethical inbreeding in self-regulation. Richard A. Posner, Judge, United States Court of Appeals for the Seventh Circuit, writes, “Moral inbreeding may be as dangerous as biological inbreeding”. Clearly the legal profession has been inbreeding for decades and this accounts for the ethical and moral mutations that now plague our justice system. And please visit The Pink Slip Project ~ A Solution To Overhaul The Dysfunctional Family Court System In Florida And The Rest Of The USA. A national, nonpartisan,nonprofit citizens’ organization documenting how judges break the law and get away with it. 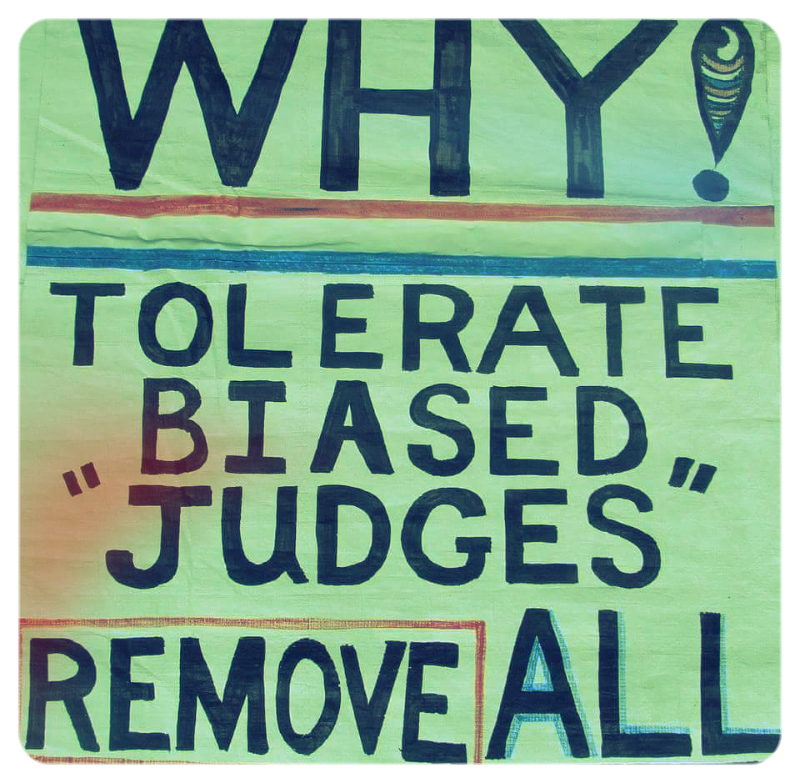 Our Mission . . .To improve the quality of our judiciary by removing political considerations from the judicial selection process and by ensuring that the process of disciplining and removing judges is effective and meaningful. Dear Attorney General of the United States Please Hear My Cry! IF DCF CASE, WERE YOUR CHILD(REN) TAKEN AWAY? IF CHILD SUPPORT CASE, DID DSS AND ATTORNEY GENERAL’S OFFICE REPRESENT THE OTHER SIDE? WHAT HAPPENED? WHY DO YOU BELIEVE THE STATE OF CONNECTICUT JUDICIAL SYSTEM MISTREATED YOU? I attest under penalty of perjury that my statements are true to the best of my knowledge. NOT A LAWYER —-LEGAL STATEMENT —–NOT an Attorney, Lawyer, Juris Doctor, Barrister, Solicitor…you get the idea. NO legal advice on this entire blog and this site is for information only. Nothing here should be construed as legal advice. While we find the information here interesting, we may not be in agreement with everything. The SOLE opinion of posts are for education purposes ONLY. Please voice your opinion on your experiences, evidence, nightmare, and documentation! ADVISORY~~&gt; This site is for information only. Nothing here should be construed as legal advice. While we find the information here interesting, we may not be in agreement with everything. Nothing should be taken as fact without verification. A professional firm hired to evaluate this website issued a report this past week ranking it in the 18,000 range for activity worldwide. This was noted as a very high status considering our utter lack of financial support and the likelihood that there are that many websites in New York City alone. It may also be explained by unique niche we have filled regarding overdue reforms in family court.